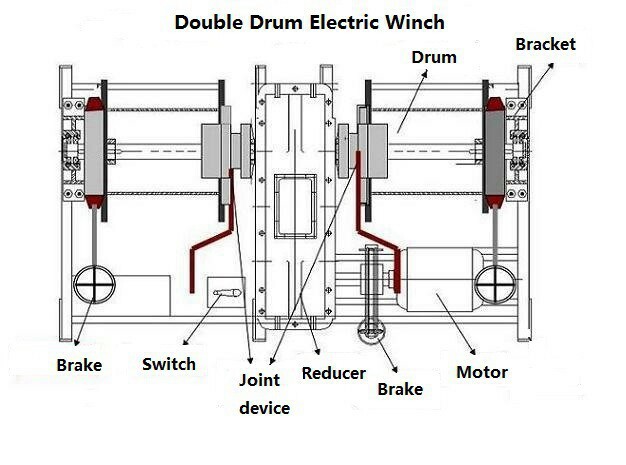 Double drum electric windlass is gear reducer transmission electric winch. 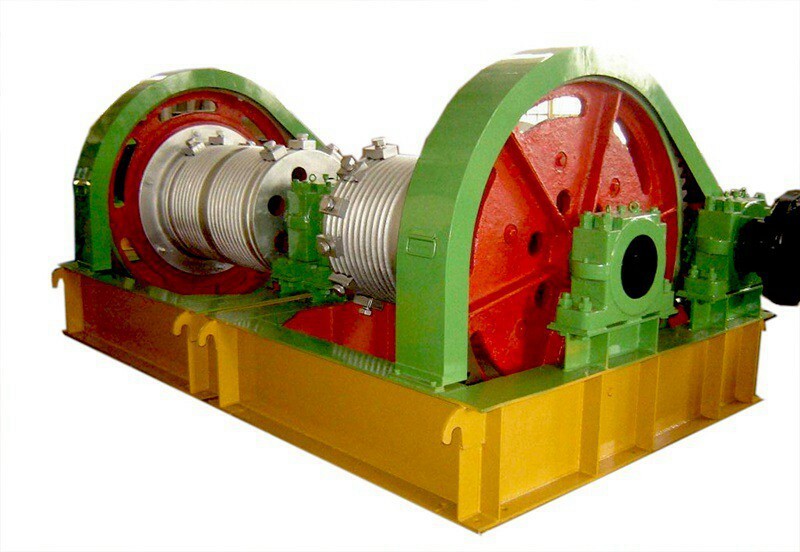 Double drum electric windlass is mainly used to lift and pull heavy objects in civil construction, road and bridge projects, mining area, factory, wharf, marine, etc. 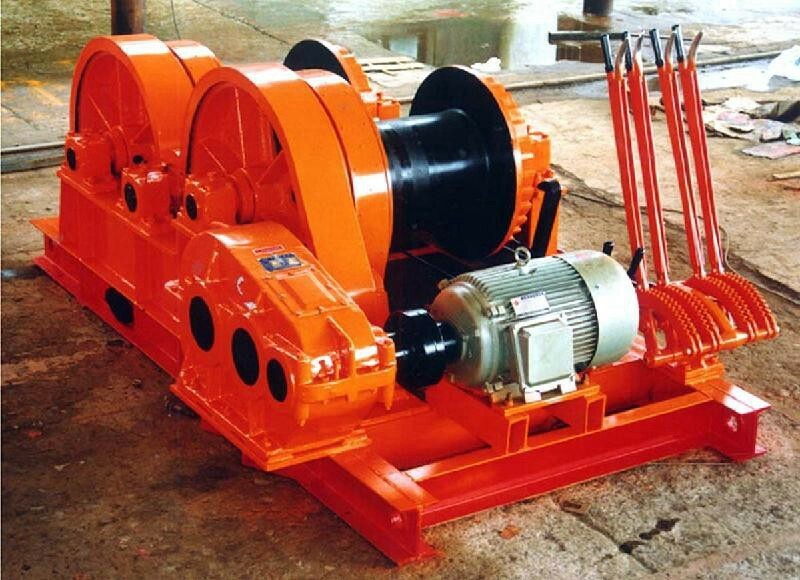 Installation and disassembly of all kinds of big or special big size reinforce concrete, steel structure and machinery equipments, drag ships, the features are orderly wire rope, safe and reliable lifting. 7. Current overload protection function, Voltage lower protection function. Special design is available as per customers’ requirements.